On March 26th, Mark W. Albers, senior vice president of Exxon Mobil Corporation, will be visiting ACU as part of the Distinguished Speakers Series. Mark joined the company in 1979 and has worked numerous positions, including managerial positions in development, operations, and engineering. He has also worked in Melbourne, Australia as a technical manager and operations manager. In 2001, he became the vice president, Africa, Chad/Nigeria for the ExxonMobil Development Company in Houston. 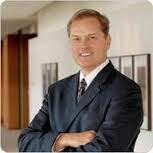 Albers has served as executive assistant to the chairman of Exxon Mobil Corporation at headquarters in Irving, TX. After this position, he then became the president of ExxonMobil Development Company in October of 2004. In April 2007, Mark was named the senior vice president of the company in Houston. Albers is a member of the Board of Trustees of the U.S. Council of International Business, the Texas A&M Engineering Advisory Council, the Society of Petroleum Engineers Industry Advisory Council, and the Board of Directors of the National Action Council for Minorities in Engineering, Inc.
Mark was born in Calgary, Canada and later moved to Houston. He grew up around the oil and gas industry and pursued this field of study at Texas A&M, graduating in 1979 with a bachelor’s degree in Petroleum Engineering. Today, he works with different governments in influencing them to allow Exxon to come in and work, explore, develop, and produce in those countries. Mark and his wife, Cindy, currently live in The Woodlands, Texas. Albers highly believes in the value of faith in the marketplace. He states that his faith has been the strong foundation that has built his career and the man he is today. COBA looks forward to hosting him next week. There are less than 50 tickets left for the event. Visit the COBA website to learn more and purchase tickets to the luncheon at www.acu.edu/coba.